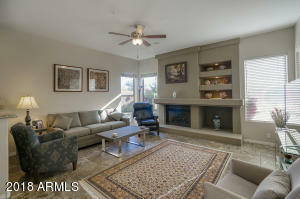 Private, quiet, and south facing cul-de-sac lot in a gated community! 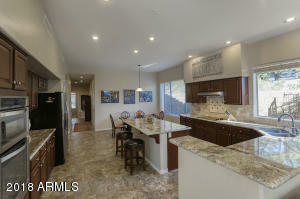 Tastefully remodeled, this single level, split master floor plan is nearly 3,000 sq feet and has 4 bedrooms and 3 full bathrooms. 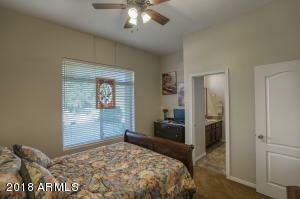 One bedroom is an en-suite with a walk-in closet. 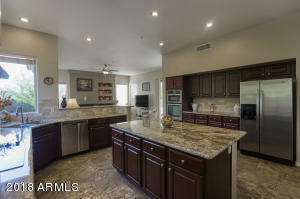 Upgraded and modern kitchen, is open to the family room with cozy gas fireplace. 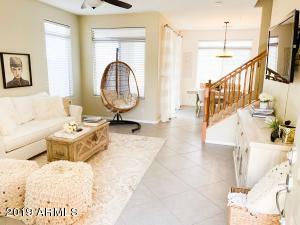 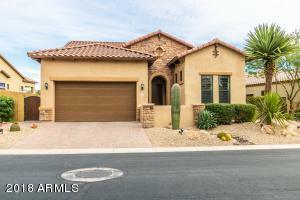 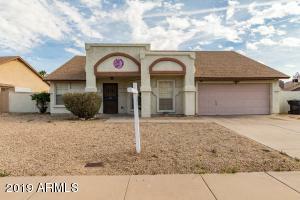 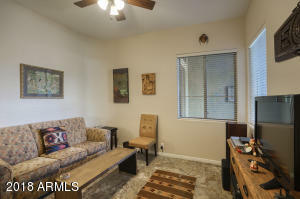 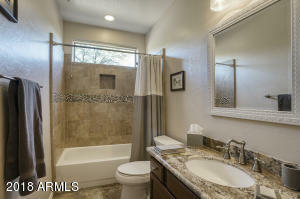 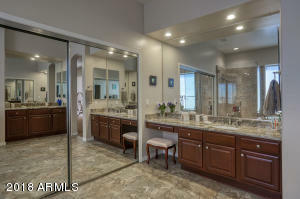 Newer tile flooring throughout, updated bathrooms with granite counters and tiled showers. 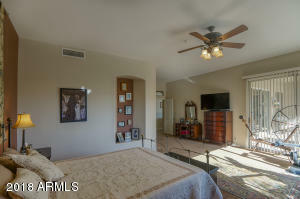 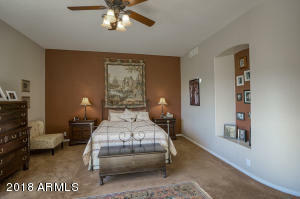 Oversized master bedroom with separate exit to the backyard. 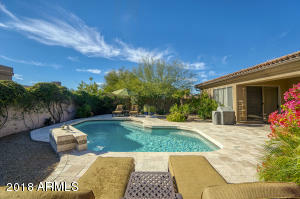 Heated pebble-tec pool with water feature and travertine decking. 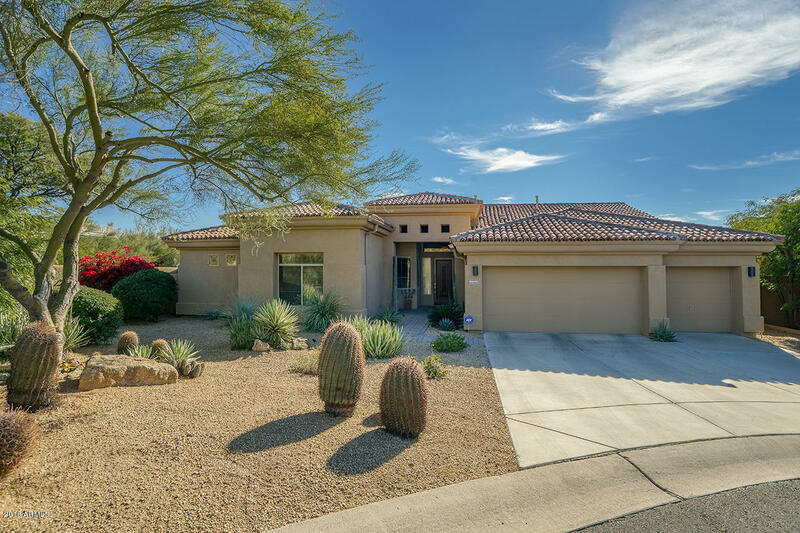 Meticulously maintained home inside and out including newer HVAC's, landscape irrigation system and lighting, pavers, paint and more. 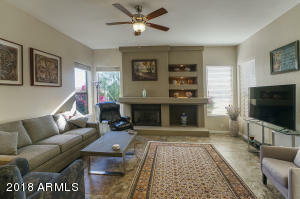 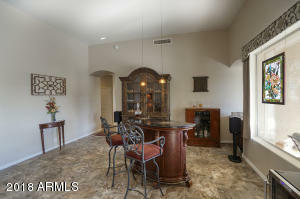 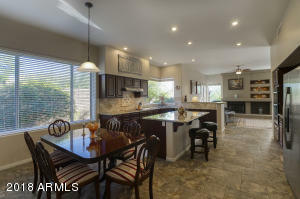 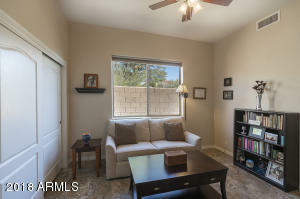 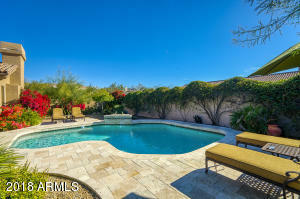 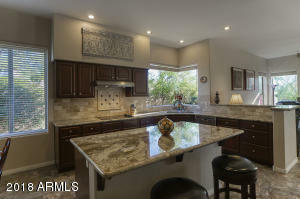 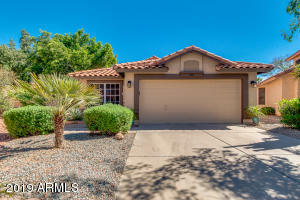 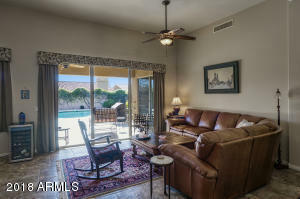 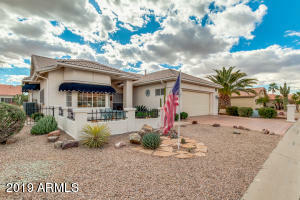 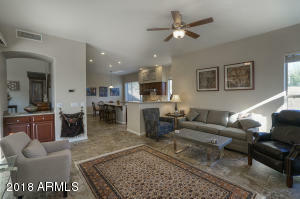 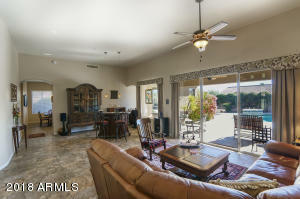 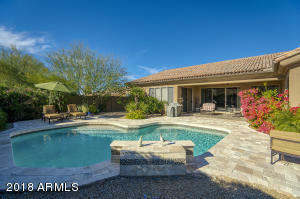 All situated in the perfect North Scottsdale location! 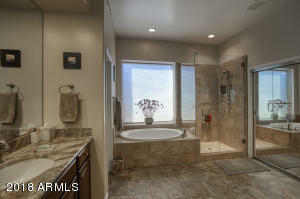 Please see docs tab for additional home improvements list. South of Pinnacle Peak on Pima Rd., turn east on Paraiso Dr, south on 89th St. to gate. 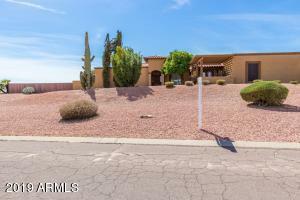 Through gate, make 2nd left on Calle De Las Brisas, home is at the end of the cul-de-sac on the right.